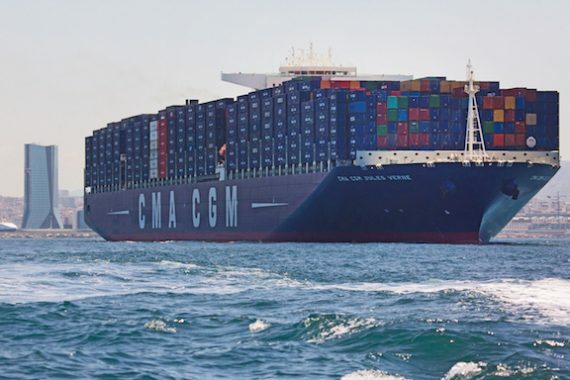 French containerline CMA CGM and Adani Ports and Special Economic Zone (APSEZ), part of the Adani Group, have signed a joint venture agreement, to operate a new container terminal, CT4 at Mundra Port, for the next 15 years with an option to extend it twice for 10 more years. CT4 is CMA CGM’s first port investment in India. The terminal spans over 27 hectares, with a 650 m long quay and a draft of 16.5 m, and has an annual capacity of 1.3m teu, and it will be the only container terminal on India’s west coast where the world’s largest container ships can call. This latest investment adds to the 27 container terminals that CMA CGM has in its portfolio. “This joint venture with Adani Ports reinforces our position in one of the world’s fastest growing economies and highlights our firm belief in the potential growth of trade between India and the rest of the world,” said Rodolphe Saadé, CEO of CMA CGM. “With the commissioning of this terminal, Mundra port will become India’s largest container-handling port,” commented Karan Adani, CEO of APSEZ.